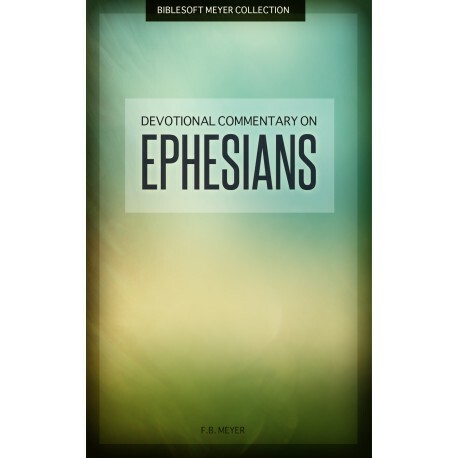 "The Epistle to the Ephesians is pre-eminently the Epistle of the Inner Life. It is not astonishing, therefore, to find that its characteristic key-words are also the key-words of the Inner Life. And in proportion as we weave them into the texture of our life, we shall become possessed of the tenderness and strength, the depth of knowledge and height of communion, which have endeared this Epistle to all ages of the church. "It has not been possible, in these narrow limits, to attempt a full Exposition of these marvelous words, aglow with heaven's altar-flame. But sufficient has been said to show its rich lodes of ore, and their direction, and the method by which they may be carried into currency for daily living." Frederick Brotherton Meyer was a Baptist pastor and evangelist in England, a contemporary and friend of D. L. Moody and A. C. Dixon. Meyer was involved in ministry and inner city mission work on both sides of the Atlantic, authored 40 religious books, numerous articles and was described as The Archbishop of the Free Churches.